We hope to be holding a benefit concert in March of 2014, more info to come are we learn more details! 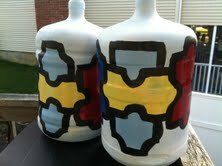 Look for Our Donation Jugs! Pockets a Little Heavy with extra CHANGE? Drop it in one of our Donation Jugs! You can find them at Local Retailers Supporting our cause!